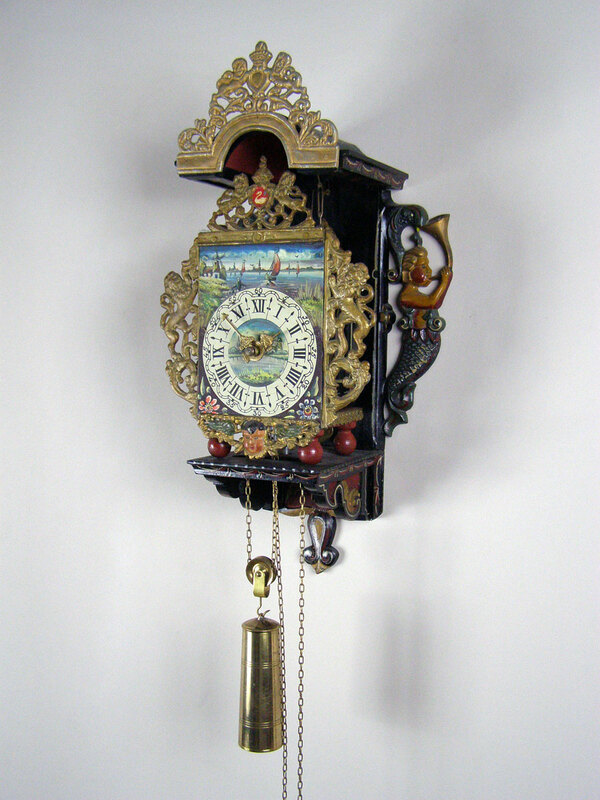 This is a Dutch Zaanse clock with anchor escapement, bell-striking and a 30 hour duration movement. 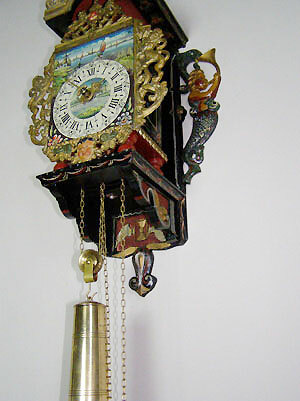 The dial is painted with gilt lead "ears" and top. 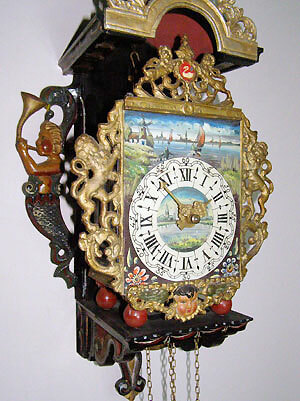 The entire case is decorated with flowers and a maritime scene above the dial.